Princess Diana had no privacy, she felt useless and helpless. She was unhappy with her marriage and she was an insecure person at heart. Her husband had an affair with Camilla Parker Bowles and they got a divorce. Diana's husband sought public understanding in an interview with Jonathan Dimbleny on June 29, 1994. She felt unloved, had a marriage demise, an amicable separation with her husband, and had an empty marriage. Diana was seen by the royal family as unstable and tempermental. She had a low self esteem, felt unworthy, and didn't feel enough support. 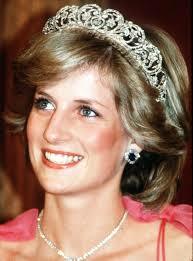 The Princess had bulimia (an eating disorder) and post natal depression. She would do self harm and had deep feelings of unworthiness. The Queen wrote letters advising her to get a divorce and Diana had an affair with Life Guards Officer James Hewitt.